An interesting idea has taken place in the US. Imagine what would happen if your patents were examined by members of the patent community? Imagine what time would be saved in terms of search for prior art? That would indeed save the patent examiners a lot of time. In terms of return on investment, those applicants whose patents are submitted for evaluation will either (1) obtain the registration sooner, or (2) obtain the rejection sooner. Not all bad news is bad, and obtaining a rejection sooner (than later) will enable the applicant to (a) appeal against the rejection, (b) cut losses, and perhaps (c) redesign the invention in light of the grounds stated in the rejection so that it is patentable. The plus point is that everybody gets the good news sooner rather than later. On June 15, 2007, the United States Patent and Trademark Office (USPTO) opened the patent examination process for online public participation for the first time. With the consent of the inventor, the Peer-to-Patent: Community Patent Review pilot, developed by the New York Law School Institute for Information Law and Policy in cooperation with the USPTO, enables the public to submit prior art and commentary relevant to the claims of pending patent applications in Computer Architecture, Software, and Information Security (TC2100). This historic initiative connects an open network of community input to the legal decision-making process. A summary of the first year's results is available in our Anniversary Report, available for download at http://dotank.nyls.edu/communitypatent/P2Panniversaryreport.pdf. UPDATE: The USPTO announced the extension of Peer-to-Patent on July 17, 2008. The program will now run through June 15, 2009. In addition, eligible applications have been expanded to include Technology Center 3600 (Class 705). Up to 400 applications will be reviewed. Unfortunately the time for participation in this project is past. Perhaps it will be extended. Perhaps Malaysia would do well to make data pertaining to patent applications (both being processed and granted) online. As it is, the PANTAS web portal is a window of opportunity that can be expanded upon -- to extend into a full featured search engine for patents / trademarks. However, that day isn't likely to come soon. It seems likely that MyIPO is going to stick with the present pay-per-view operating model. That isn't likely to help the development of the local patent-ing scene. Incidentally, I stumbled across the Peer to Patent project while reading an article on NY Times: Obama, inviting ideas online, finds a few on the fringe. Not that it's groundbreaking, but it's refreshing to see a President open himself up to the citizens and their discussions. Designing a product is of necessity, a process which requires that a need be met. Naturally, a product must be viable -- economically, socially -- before it makes any sense to spend money on researching it and designing a solution which embodies the invention. But when such products do see the light of day, society is benefitted, mankind is benefitted, the businessman is benefitted, the manufacturer is benefitted, and -- sometimes -- the inventor is benefitted. In eight states in Nigeria and eight states in India, Pathfinder researchers are not only employing these technologies, but lobbying for their widespread use. They are training medical providers to supervise a woman while she is in the garment and to remove it slowly to prevent excess blood loss. It can be seen that socially inventors, like Pathfinder International, care less about the commercial aspect of getting renumerated and more of spreading the goodness of what they have invented. On the other hand, if licence to manufacture is not granted to manufacturers, whether non-profit or for-profit, it means that the inventor still holds the patent ransom and stands to make money out of it. In 2006, I read an article about a new straw -- fitted with filters and a chamber for iodine -- which would revolutionize drinking water for communities in Africa. Dubbed the LifeStraw, and created by a Danish inventor, Torben Vestergaard Frandsen, it was supposed to prevent thousands of people from dying in developing countries, due to infections by water borne diseases. It was supposed to be marketed at USD3.50, but critics called it expensive (bearing in mind the target crowd was the developing countries of the world). Obviously, in order for such an invention to be successful (and meet its goals), the whole concept of financing its continued manufacture and distribution should first be answered. IDEO must have something good going on. 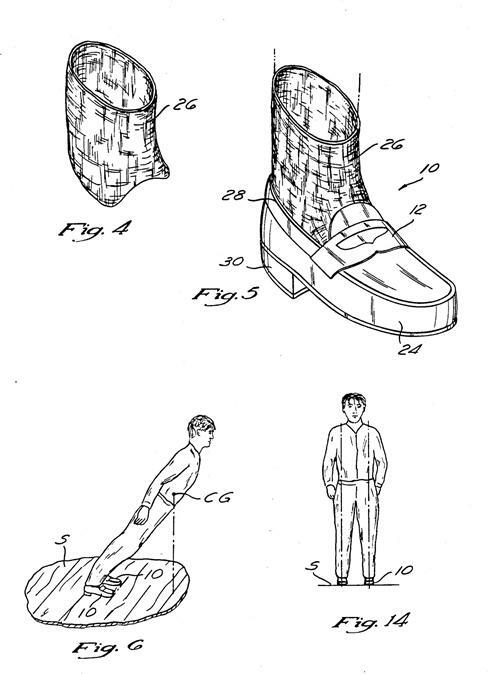 On its catalogue of "featured" work, it boasts over 1,000 patents since 1978, and over 350 awards since 1991. It has worked with the Mayo Clinic, Nokia, Samsung, Shimano (bicycle parts), the American Red Cross, BASF, and countless others. It has a robust database of articles, which are constantly updated. According to his biography "Tesla: Man Out of Time" by Margaret Cheney, he conducted several successful tests at the turn of the last century in his Colorado Springs laboratory. There, he used Earth's upper atmosphere as a giant conductor. In theory, a person anywhere on Earth could access the electricity with the proper equipment. Imagine one generating station or a few dozen for the entire planet! Apparently, he did. Unfortunately, Tesla kept some key figures out of his notes due to the fact that several of his patents at the time were already being infringed upon. On top of that, he ran out of money and investors before his experimental Wardenclyffe Tower, which was to be the first commercial wireless tower, could be completed. Indeed, this invention could have shaped our world into one where power lines and burning fuels would be as old a concept as catapults and steam engines. Even cars, trains, and planes could have run from this wireless electricity. But, once infrastructure stabilizes and people get comfortable, it becomes difficult to change, and this would have been the second time in his life that Tesla would have completely revolutionized the world. Another option is establishing a company for the purpose of commercializing the said invention. In time, this may split into two companies: one for manufacture, and one for distribution/marketing.